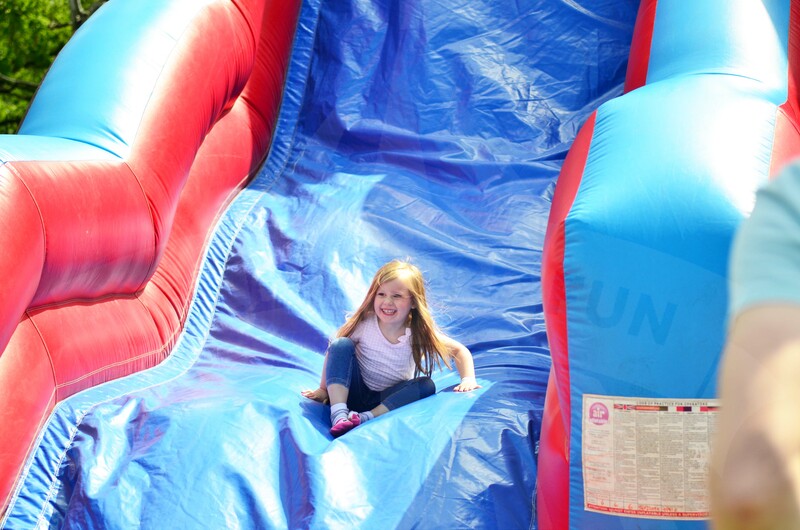 Here’s one for the kids: our Mega Slide equals mega fun! 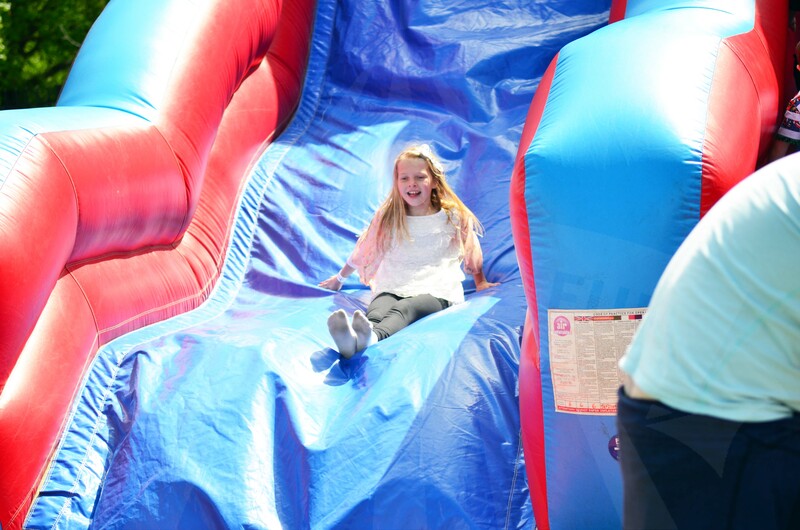 Kids up to the age of around 10 will love the Mega Slide as it stands at a whopping 20ft tall! 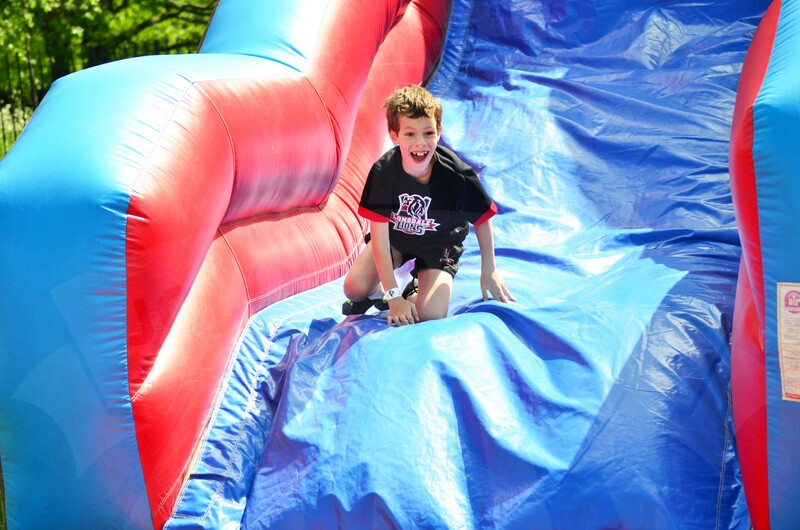 Children can take turns to scramble up the steps on the right hand side, before sliding back down again on the left. 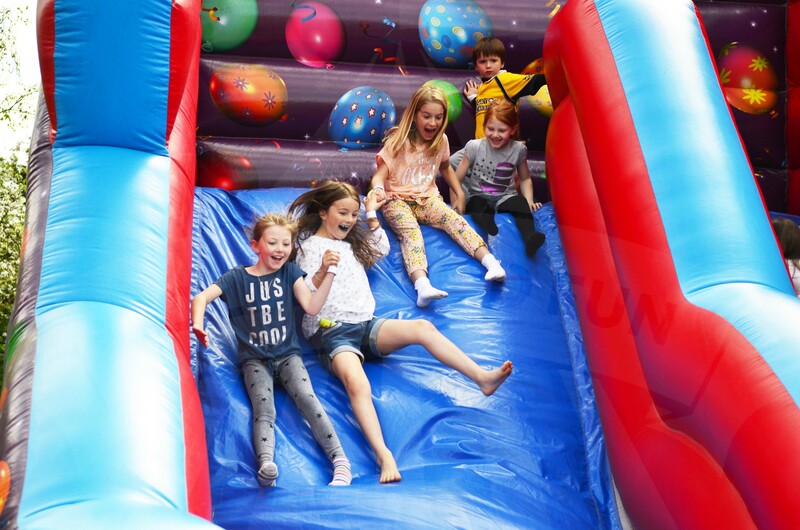 Easy to supervise & perfect for entertaining groups of kids, our Mega Slide hire is perfect for larger parties & fundraising events, or of course for a very lucky birthday boy or girl. Go on, treat them! 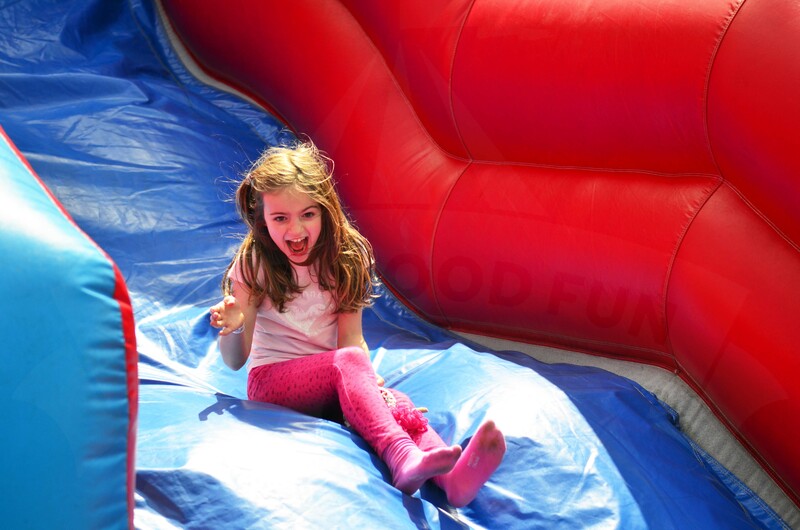 Here’s one just for the kids: our Mega Slide equals mega fun! This attraction is recommended for children up to the age of around 11. 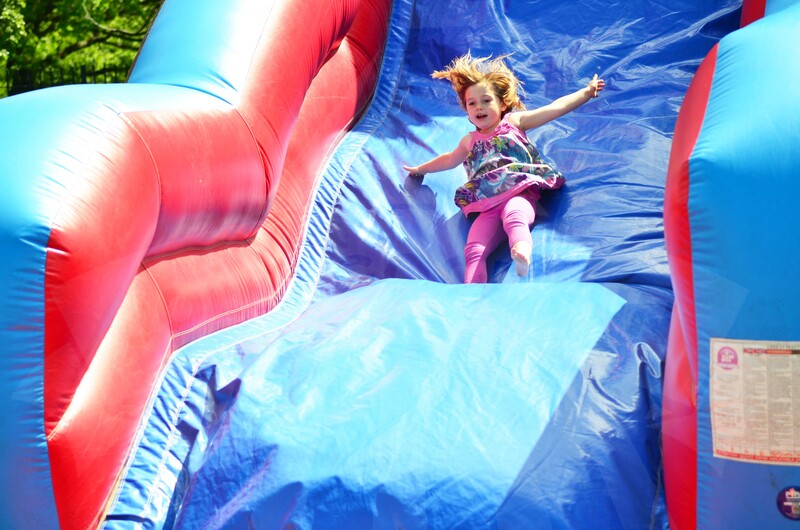 While the attraction is safe for children up to 1.8M, older children may find the slide quite tame. This attraction is suitable for four children at a time. Suitable for children up to 1.6m tall. 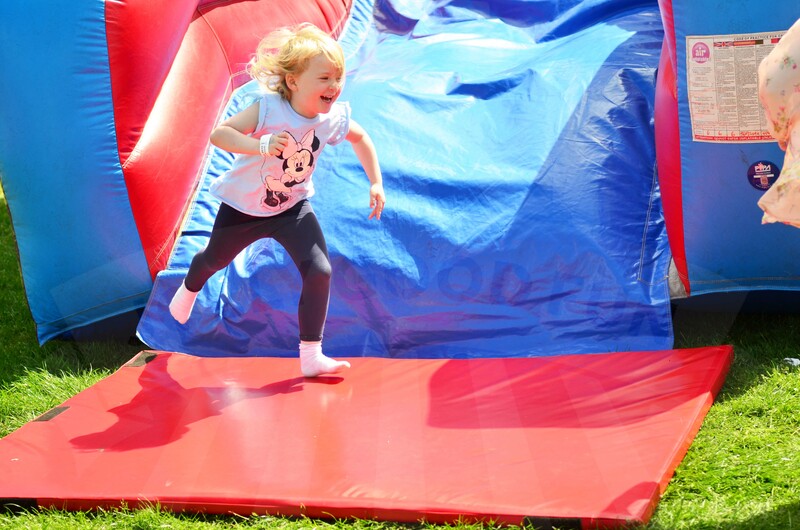 Ideally, we prefer to place bouncy castles outdoors on grass or indoors although we can place outdoors on hard ground if required. If positioning outdoors on any other surface or indoors, sandbags will be required which are available subject to availbility, at an extra cost. This is a big & heavy attraction which is delivered in multiple parts. The biggest part is the inflatable which weighs over 100kg. Ideally we'd prefer to drive right up to where this attraction is being located. If that's not possible we'll move the inflatable from our vehicle using a trolly. 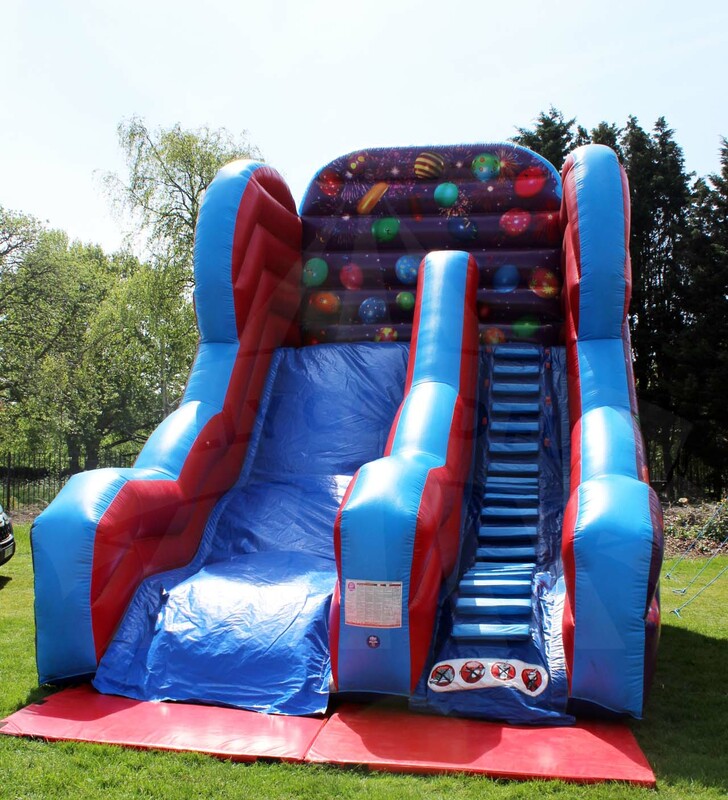 Due to its weight the inflatable can't be taken up or down stairs (though lifts are usually fine). When rolled, the inflatable can sometimes be over 1M wide so you should check the widths of doorways/gates/paths & the route you're planning for us to take. Please let us know if there's a distance of more than 50m from where we'll unload/load to where the inflatable is being set up. 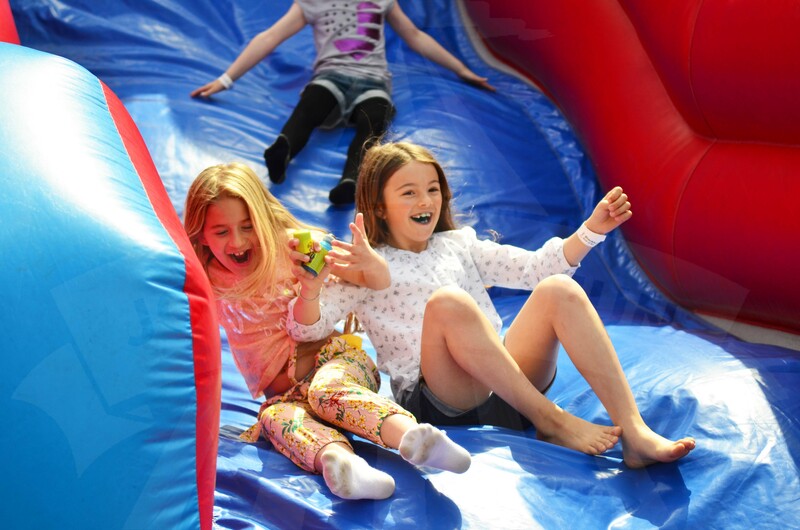 A member of our team will come along to put the Bouncy Castle up, bringing all the equipment required for a fun, safe day. They'll secure it firmly to the ground & then they'll run a complete safety check on it for your peace of mind. For a small extra charge, they can even help you supervise the fun for an extra hourly fee. This attraction must be supervised at all times by at least two responsible persons aged 18 or over according to the instructions we provide. This attraction requires 2 x standard 240V 13a plug socket (like you find at home or in the office). Or 2 x industry standard blue 240v 16a Commando/CEE sockets. We can provide a generator if required (additional cost applies). We work in accordance with a health & safety management policy which is regularly reviewed by an external consultant. We are covered by a policy which provides £5M public liability insurance cover & £10M employer’s liability insurance. 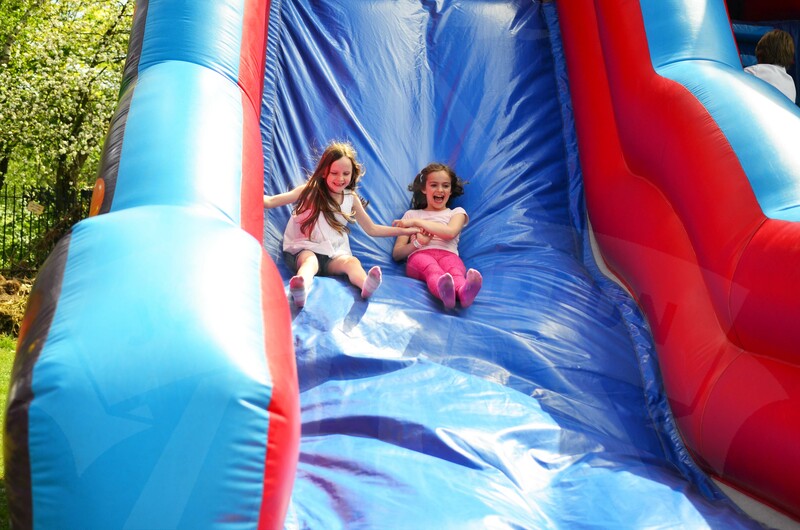 Each & every one of our attractions is delivered, set up & operated according to a risk assessment & method statement which encompasses relevant best practice & manufacturer's operating instructions. All electrical components are PAT tested at regular intervals & all attractions undergo thorough safety & quality checks before & after every event. 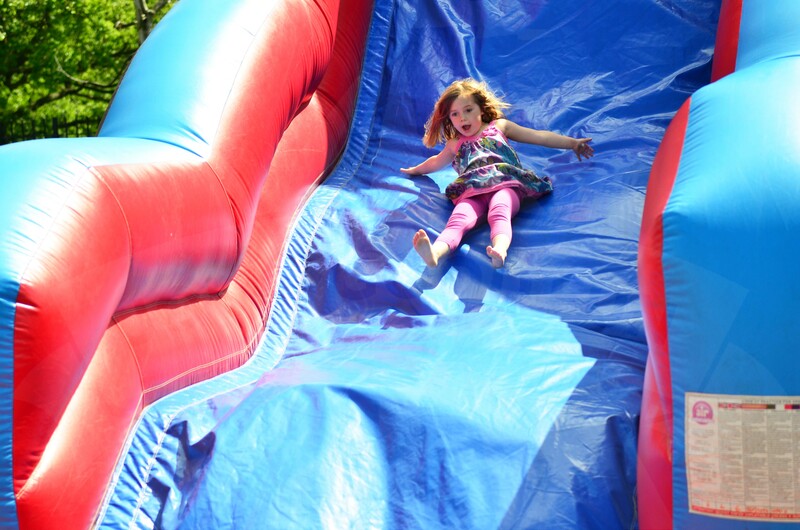 All our inflatables hold either a RPII or PIPA Safety Certification. Just ask for copy documentation.